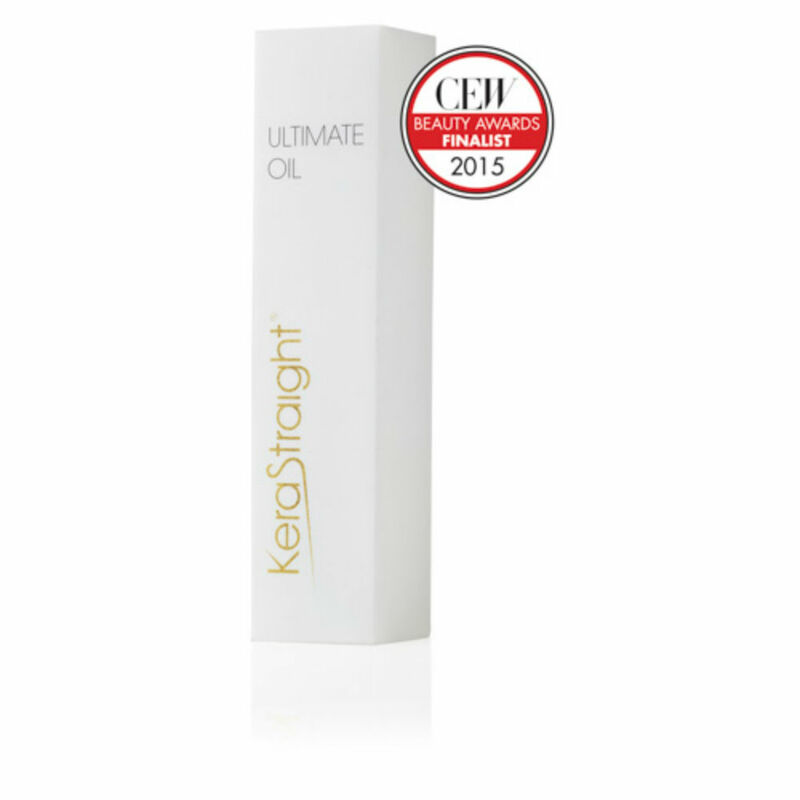 KeraStraight Ultimate Oil uses a blend of 9 specially chosen oils including Jojoba, Macadamia and Argan Oil to create the perfect smoothing oil to tame dry, damaged and frizzy hair. 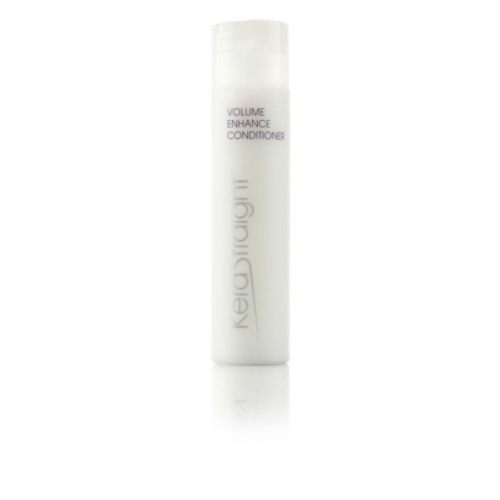 it's lightweight, non-greasy formula protects and strengthens your hair to leave it shiny and frizz free. Directions: Apply a small amount to damp hair, comb through and style. lorsqu'on utilise cet huile on ne peu plus s'en passé elle facilite le bronchique , fait disparaître les frisottis en un tour de brosse je suis coiffé . Je recommande vraiment ce produit . when we use this oil we do not go any more it facilitates the bronchial, makes frizz disappear in a brush stroke I'm wearing. Do not grease the hair nice scent it's really a magical oil in gold Out of all the other sellers available at Merritts and despite the high postage I have when I ordered because I could not do without I really recommend this product. 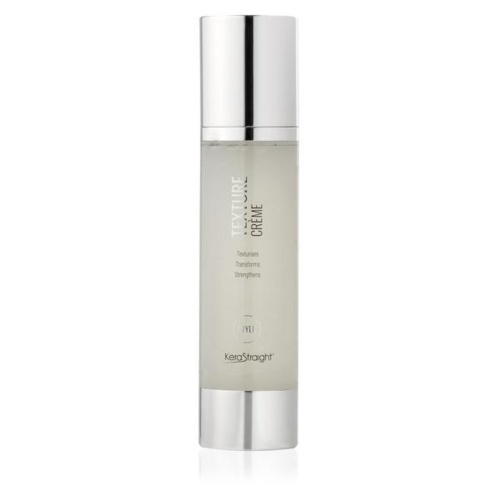 This is the best oil serum I have ever used- leaves my hair feeling quenched smooth and silky and I only apply once after washing unlike others which you need to reapply- love it! 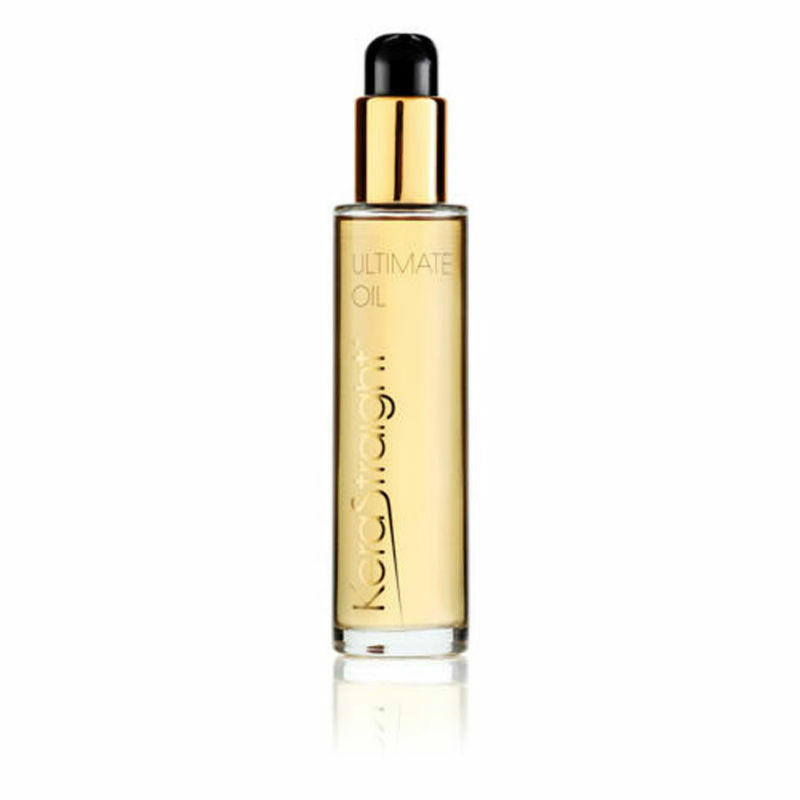 This Kerastraight Ultimate Oil is like liquid gold for your hair. A little goes a long way, so one bottle lasts a while. 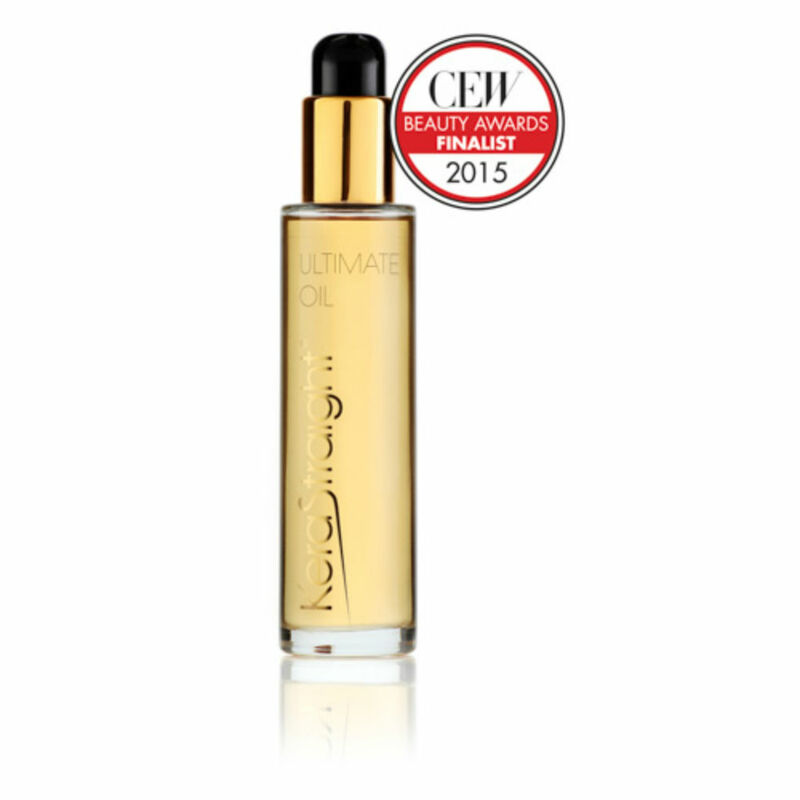 This oil nourishes tresses whilst imparting a natural looking sheen which is non-greasy. It can also be used on damp, freshly shampooed and conditioned hair or dry hair. An added bonus is the oil’s gorgeous yet not overpowering scent. It works really well on hair that’s chemically treated, natural, straight, curly or Afro-Caribbean. 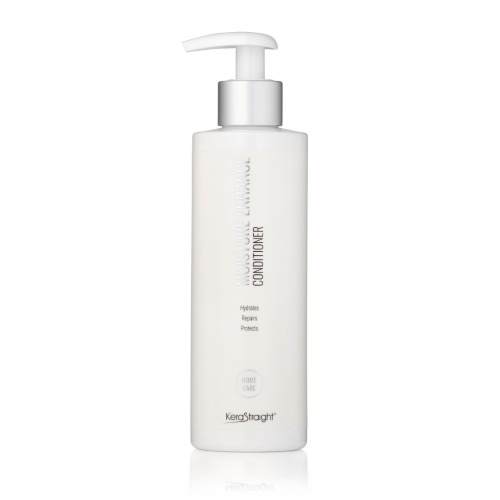 This is an amazing product which leaves hair looking smooth, healthy and well conditioned. 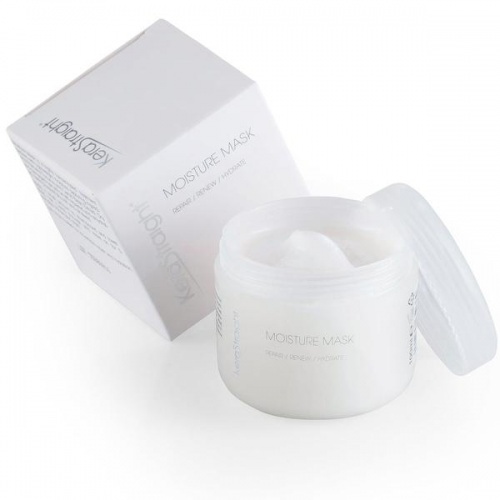 It is extremely light which allows full movement of hair and gives a lasting volumous effect. A fantastic buy, would absolutely recommend this Kerastraight product to all. I love using this oil. I normally put it on just before I blow dry my hair. It doesn't feel greasy at all, just silky and soft. This product controls my very curly hair. Very few hair care products do, so this is exceptional. Delighted! I ordered a few items for merritts after finding this website in a Google search for kerastraight products. The delivery was quick and well packaged and i have to say this oil is worth every penny. It's light weight and non greasy, it leaves my hair with a nice shine and my hair smelling lovely. It appears as though it will last a while and once it runs out I will definitely be buying more. Anyone with a kerastraight treatment should invest as it should be a staple product recommended to all. My hair is long highlighted and very thick, this oil is amazing for taming any frizzy bits and leaves my hair looking like I've just come from the salon. Smells lush too. Won't be without it now..